The Libyan people’s political and economic hopes following the 2011 revolution, repeatedly confirmed by several elections over the years that followed, have been frustrated by political failure and armed conflict between rival politicians, regions and militias. There is no sign of an early resolution to this conflict and things may get worse before they get better. But the country’s tribulations will pass and the Libyan people’s aspirations for a more settled and prosperous future will be within their reach once more. At that stage, Libya will look for goods, services and partnerships with overseas suppliers and, as an oil exporter, it will have the financial resources to pay for its people’s needs. No-one can predict when stability will return, so it is crucial to monitor developments in-country to ensure that, when it does, LBBC members are ready to resume business. The LBBC has created this page to provide members and their clients with access to up-to-date information and analyses. The material is supplied by professional risk advisory companies with staff on the ground in Libya. This is not to say that there is no business to be done in Libya even now. Visible (and no doubt invisible) exports continue, albeit at a modest rate, and some contracts are offered. The risk advisory page provides a valuable resource for members considering responding to these business prospects and the opportunity to consult the companies involved on the conditions affecting the viability and location of the particular opportunities under consideration. We are sure LBBC members – both experienced Libyan operators and businesses new to the Libyan market – will find the reports listed here (and the more detailed advice available from the respective providers) a valuable input to their business strategies and decision-making capabilities. Risk reports for Libya are produced in country and contain the very latest ground-truth information that analyses the current security situation, political, regulatory and cultural challenges. Reports are designed for people with operational reporting requirements and can support staff deployment and movement plans with their up-to-date review of current threat levels or risk in Libya. For inquiries regarding bespoke reporting please contact our Regional Director for Libya: nicholas.bennett@garda.com or visit GARDAWORLD website. 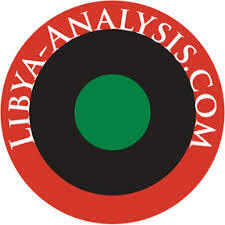 Libya-Analysis ® is a consultancy firm specialising in bespoke analytical reporting, threat assessments and forecasting on Libya. The Libyan National Army (LNA) have launched an assault – dubbed Operation “Flood of Dignity” – to ‘liberate’ Tripoli. This had led to a series of clashes throughout southern Tripoli. Anti-LNA forces from Tripoli and Misrata have consolidated their forces under the Government of National Accord’s (GNA) Operation “Volcano of Rage” to push back against LNA and threaten the supply lines of the LNA forces. There is an increased risk that the fighting will become protracted and expanded to multiple theatres including the areas in and around Sirte and Jufra. Division and factional positions amongst communities, militias and civil leaders are likely to become more entrenched – stalling any progress on national reunification efforts. The UN effort to facilitate a unity government through the National Conference has been undermined. Likewise, the international community’s credibility in Libya as mediators and peace brokers has been damaged. We continue to keep our permanent expat country management team on the ground in Tripoli supporting our clients international and local personnel as well as critical infrastructure. We are also currently involved in working with many of our clients on their re-entry planning, security risk management surveys and political sector analysis. The United States urged on Sunday Khalifa Haftar’s forces to stop military operations in Tripoli and return to “the status quo positions.” US Secretary of State Mike Pompeo said in a statement that the US is deeply concerned about fighting near Tripoli and urges for an immediate halt to these military operations against the Libyan capital. “We have made clear that we oppose the military offensive by Khalifa Haftar’s forces on Tripoli. Forces should return to status quo ante positions.” The statement reads. “All involved parties have a responsibility to urgently de-escalate the situation, as the UN Security Council and G7 ministers emphasized on April 5.” The statement adds. The Faiez Serraj-led Presidency Council and Government of National Accord launched its ‘‘Volcano of Rage’’ operation to counter the Khalifa Hafter-led Libyan National Army (LNA) offensive on Tripoli as Hafter seems to have lost the initial momentum. This official operation launched by Serraj seems to have replaced the” Wadi Doum 2” operation launched by the coalition of Western Region Forces. The Volcano of Rage operation was announced yesterday in a televised statement read by Mohamed Gnunu, the Official Spokesperson for the Serraj-aligned Libyan Army. Gnunu was appointed on Saturday. The Health Ministry has announced that 21 people have been killed and 27 others injured due to the clashes in different frontlines outside Tripoli. War on Tripoli started when Khalifa Haftar gave orders to his forces to march to Tripoli and “liberate it from terrorists.” The spokesman for Haftar’s forces Ahmed Mismari went as far as saying that the war on Tripoli is aimed to free the city from Al-Qaeda, claiming that the capital is hijacked by terrorists. Since the war go-ahead by Haftar, heavy clashes have been going on in different areas in southern Tripoli, like Wadi Rabea, Sooq Al-Ahad, Airport Road, Ain Zara, Al-Aziziya and other areas near Gharyan like Heera. The war has also been taken to the sky as the Air Force of the Libyan Army under the command of Presidential Council targeted Haftar’s forces in Wadi Rabea and Wattiya Airbase, while Haftar’s forces carried an airstrike on Sunday afternoon on Naqiliya camp in southern Tripoli. The only functioning airport in the Libyan capital of Tripoli has been hit in an air raid, local TV and several agencies report, citing eyewitnesses. Heavy fighting broke out between the forces of the country’s two governments. A military aircraft belonging to the Libyan National Army forces has reportedly targeted Mitiga airport, located in the Libyan capital’s eastern suburb. Commanded by Field Marshal Khalifa Haftar the group challenged the government in Tripoli for power. The Libyan authorities confirmed that the airport was closed following the airstrike but provided no additional information on casualties or damage resulting from it. Mitiga has been the only airport used for international flights since the capital’s international airport was destroyed back in 2014. Vellichor Group Limited specialises in delivering integrated, and customisable defence, security and counterterrorism solutions to clients worldwide. 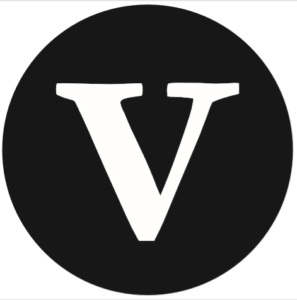 Vellichor has combined a team of world-class subject matter experts, an extensive internal & external worldwide industry network and an ability to develop customisable security solutions to mitigate risk in any environment.